Boko Haram's abduction of more than 100 schoolgirls in Dapchi, northeastern Nigeria, shows the Islamist group still has the ability and means to stage major attacks. Since the raid last Monday, questions have been asked about how heavily armed fighters were able to storm the town in Yobe state without encountering any resistance, then disappear. Nigeria's military claims to have the region locked down, as part of a counter-insurgency effort against the group whose nearly nine-year campaign of terror has killed at least 20,000 people. But witnesses in Dapchi and analysts told AFP that it was a "well-planned attack" that specifically targeted the state-run boarding school. Residents in the dusty town near the border with Niger described seeing a convoy of at least 10 to 15 vehicles just as most people were at the mosque for evening prayers. Civilians were not harmed and the armed men instead asked for directions to the girls school. Hundreds of students at the Government Girls Science and Technology College fled in the dark into the surrounding bush; 110 have yet to return. The attack and the confusion that followed recalled the abduction of 276 girls from Chibok, in neighbouring Borno state, in April 2014. That brought Boko Haram - whose name translates from Hausa as "Western education is forbidden" - worldwide notoriety at a time when it controlled swathes of territory. Since early 2015, that strength has disappeared. But Yan St-Pierre, a counter-terrorism specialist with the Modern Security Consulting group, said: "If they kidnapped more than 100 girls, that shows they have sizeable means at their disposal and a secure place to take them." Another worrying indication, according to the Yobe state governor Ibrahim Gaidam, is that soldiers stationed at strategic checkpoints in Dapchi, were redeployed last month. 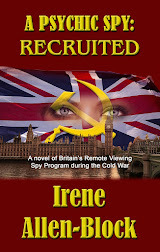 That left ordinary uniformed police as the town's only defence. One resident, Mohammed Adam, 27, said they were not effective: "They ran into the bush." Another Dapchi resident, who asked not to be identified, said he was concerned that Boko Haram sympathisers had secretly infiltrated the town. "I believe informants tipped them off that the troops had withdrawn that allowed them to come in because this is the first time that we have come under attack from Boko Haram." Until last week, Dapchi had been spared from Boko Haram, even though the group repeatedly attacked Yobe. On January 5, at least nine soldiers were killed in an attack on a military post. 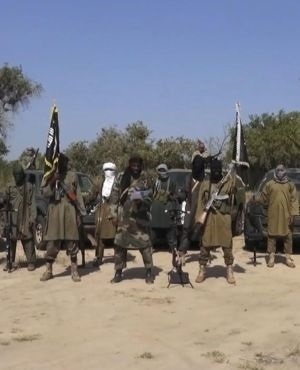 That attack was claimed by the Boko Haram faction headed by Abu Mus'ab al-Barnawi, whose leadership is recognised by the Islamic State group. Barnawi's breakaway faction operates over a vast territory in and around Lake Chad and Niger, including Yobe state. Fighters loyal to Boko Haram's long-time leader, Abubakar Shekau, are more active in Borno state and along the Cameroon border. Some analysts said Barnawi, rather than Shekau, was behind the Dapchi attack and may have taken hostages as human shields to mitigate military operations against them. Boko Haram split because of Barnawi's objection to Shekau's use of violence against civilians in the Muslim-majority region, including suicide bombings in mosques and markets. "No civilians were harmed (in Dapchi), which is likely a mode of operation of the Mamman Nur faction," said one member of the civilian militia. Nur - Shekau's former right-hand man and the mastermind of the 2011 UN office bombing in Abuja - is seen as the Barnawi faction's de-facto leader. "Even in the villages they attacked in the area before Dapchi, they touched no-one, they only looted food supplies," he added. Kidnapping remains commonplace for both Boko Haram factions, said St-Pierre. "It's very difficult to know who is behind this attack because the factional divisions aren't what they used to be," he added. Both groups had had "tactical rapprochements" and even conducted "joint operations" in recent months, he said. Nigeria media on Monday quoted unnamed local security sources as saying that half of the hostages had been taken to Niger to prevent the Nigerian military from following them. AFP has not been able to verify the claim, although the border is just over 100 kilometres away to the north. Nur, who is believed to have links with Al-Qaeda affiliates in north Africa, is said to have bases on the islands of Lake Chad. Movements of men, arms and equipment have been seen in the border region, without the intervention of either country, making the Boko Haram convoy difficult to detect, said St-Pierre. "Whatever the reason, Boko Haram needs women in its ranks and will look to put them in a secure location," he added. "The women have a high value as hostages". But, according to the Swiss Federal Intelligence Service (FIS), foreign spies and their handlers should find another venue to meet in secret. Speaking to the Sunday edition of Switzerland’s NZZnewspaper, FIS spokeswoman Isabelle Graber said she and her colleagues were aware that their country is a venue for meetings between intelligence operatives from third countries. Such meetings have “continued to rise in the last few years” and include “everyone from security agency employees to freelancers”, as “the market in trading secrets has exploded”, she said. That trend, added Graber, has led to a corresponding rise in meetings aimed at exchanging information for money. Many such meetings take place throughout Switzerland, she noted, and are “in violation of Swiss sovereignty and can lead to operations against the interests of the nation”. 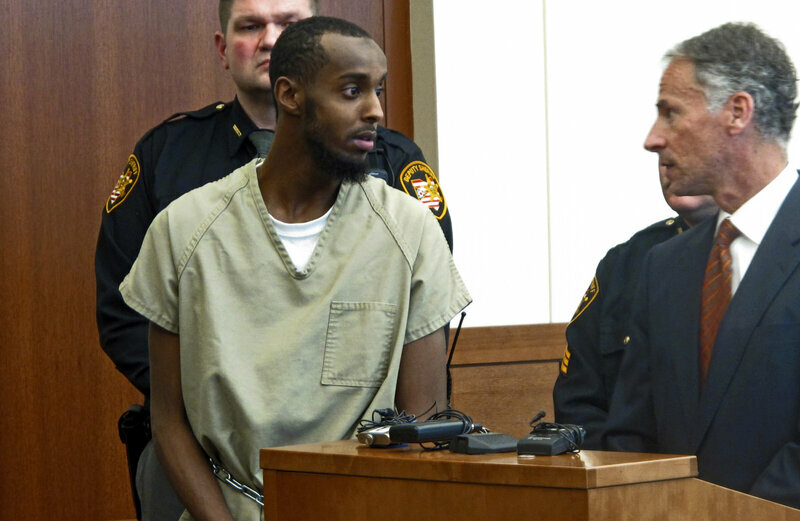 Abdirahman Sheik Mohamud is shown in a Columbus, Ohio, courtroom in 2015. He was arrested after traveling to Syria, then returning to Ohio, where he planned to carry out an attack. According to a new report, he's one of 12 Americans who went to join extremist groups in Syria or Iraq, and then returned back to the U.S. Mohamud was sentenced last month to 22 years in prison. "I think what we were struck with was the few numbers of returnees that we saw," said Seamus Hughes, one of the report's authors. "There was always concern that this wave of what the FBI would call 'the terrorist diaspora' would come back. In many ways it's just a trickle right now." The exact number of Americans who ran off to join the Islamic State — and their fates — has always been fuzzy. The FBI has occasionally offered general numbers, but provided few details. The report covers the period since 2011, when the Syria war erupted. The Islamic State peaked, in terms of power and territory, in the summer of 2014, when it held large parts of Syria and Iraq. The U.S. then began working with local partners to battle ISIS. The extremist group has now lost virtually all territory it once held, though it is still capable of carrying out deadly attacks in those countries, and has established footholds in several other states. The 300 or so Americans account for about 1 percent of the estimated 30,000 foreign fighters who joined ISIS in Iraq and Syria. The majority came from the Middle East, North Africa and Europe. Still, the report could account for just over a third of those who tried or succeeded in joining radical Islamist groups. "I know the numbers in the intelligence community are much better than mine, as one would expect," said Hughes. "But we tried to do our best to have the largest public accounting of the phenomenon." They include Zulfi Hoxha, a New Jersey resident of Albanian descent. "He was a bit of loner. High school friends describe him as kind of a geek," Hughes said. He traveled to Syria in 2015, and U.S. authorities have described as a "senior ISIS commander." He appears in two ISIS propaganda videos, including one where he beheads a prisoner, according to Hughes. A dozen return to the U.S. While no American has returned and carried out an attack, one man, Abdirahman Sheik Mohamud of Ohio, planned to do so. He was among a small number of Americans to join al-Nusra in Syria, an extremist group linked to al-Qaida. One of his commanders sent him back to Ohio with orders to attack a U.S. military facility. Mohamud returned to Ohio in 2014, and was arrested the following year. He pleaded guilty to plotting the attacks and last month was sentenced to 22 years in prison. The report did not deal with those who may have been inspired by ISIS and acted inside the U.S. For example, authorities say Sayfullo Saipov, the man charged with ramming a truck into pedestrians, killing eight in New York City last October, was inspired by ISIS. But his case is not included in the report. It's still not clear what's happened to thousands of other ISIS fighters in Iraq and Syria as the group lost its self-declared caliphate. Hard-core fighters are expected to remain and keep fighting. Others may be slipping across the border into Turkey. And some have been detained, though the U.S. has given no indication it is holding ISIS fighters. In Iraq, the government is putting ISIS members on trial. In Syria, where the war grinds on, it's more complicated. The Syrian Democratic Forces, militia fighters aligned with the U.S., are holding hundreds of ISIS fighters, according to U.S. military officials. The former head of the Palestinian Authority’s spy agency claims that the Palestinian government in the West Bank worked with the United States Central Intelligence Agency to wiretap thousands without court authorization. Tawfiq Tirawi, who headed the Palestinian General Intelligence from its founding in 1994 to 2008, has filed an official complaint against the Palestinian Authority and is calling for a criminal investigation into the alleged wiretaps. The complaint has also been signed by Jawad Obeidat, who is the president of the West Bank’s Bar Association. It is based on a leaked 37-page document that surfaced last month on the social networking application WhatsApp. The document was leaked by an anonymous individual who claims to have worked for a surveillance unit in the Palestinian Preventive Security Service, the Palestinian Authority’s domestic security service. The leaked document appears to show that the Palestinian Preventive Security Service reached out to the CIA in 2013 asking for assistance with installing a communications surveillance system in the West Bank. The CIA agreed to provide the system in exchange for access to the intercepted data. The two agencies installed the interception system in the summer of 2014 and initiated what appears to have been a large-scale operation that included thousands of telephone subscribers. Initial targets of the operation included members of Hamas —the Palestinian group that controls the Gaza Strip— as well as members of the Iran-supported Islamic Jihad Movement in Palestine. But, according to the Associated Press, over time the targets of the program expanded to include “thousands of Palestinians, from senior figures in militant groups to judges, lawyers, civic leaders and political allies of Abbas”. The list of targets included Tirawi and Obeidat, who filed the official complaint on Tuesday. The anonymous leaker of the document said he decided to quit his job and reveal the information about the intercepts after US President Donald Trump shifted Washington’s policy on Israel’s capital, by officially recognizing Jerusalem as the capital of the Jewish state. Earlier in February, the Palestinian Authority dismissed the leaked document as “nonsense” and said it was part of a large conspiracy that sought to harm Palestinian interests. The CIA refused to comment on the allegations. 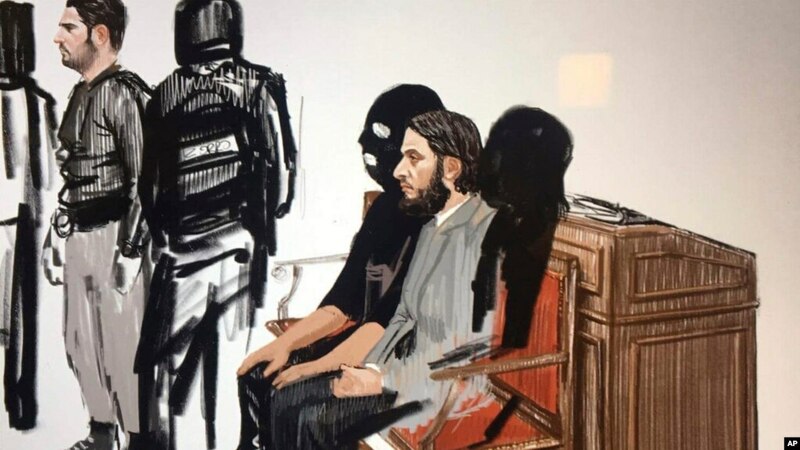 A New York City man was sentenced to 18 years in prison on Tuesday after he pleaded guilty to charges of conspiring to aid Islamic State and assaulting a federal law enforcement officer. An Oklahoma man was arrested Tuesday by the FBI, accusing of lying about attending an al Qaeda terrorist training camp, officials said. A federal grand jury in Oklahoma City handed up the indictment Tuesday against 34-year-old Naif Abdulaziz Alfallaj, a citizen of Saudi Arabia, charging him with visa fraud and lying to FBI agents. Prosecutors said he came to the United States just more than six years ago and failed to indicate on his application for a visa that he attended al Qaeda's al Farooq training camp in Afghanistan in fall 2000. Federal law enforcement officials said Alfallaj was caught after the FBI recently discovered that his fingerprints matched those found on documents that were seized when the U.S. military raided the camp 16 years ago. He pleaded not guilty during a brief federal court hearing Tuesday and was ordered held without bond pending a detention hearing next week. Court documents said that when Alfallaj was questioned in December by the FBI, he denied ever traveling to Afghanistan or associating with any foreign terrorist groups. Authorities said Alfallaj entered the U.S. in late 2011 on a nonimmigrant visa based on his wife's status as a foreign student. The indictment said Alfallaj answered "no" on an immigration application when asked if he supported terrorist organizations or had received firearms or other specialized training. Investigators said Alfallaj applied for training at a flight school in western Oklahoma in 2016 and provided his fingerprints as required. Five months later, prosecutors said, FBI analysts discovered a match between those prints and 15 latent fingerprints that were found on al Qaeda forms filled out by people attending the al Farooq training camp. Federal officials said Alfallaj has been living in Oklahoma since 2012 after having traveled to the United States to join his wife. The al Qaeda documents were among more than 100 similar forms seized by the U.S. military in December 2001. Asked why it took so long to find a match, an FBI official said the military provided "rooms and rooms" of documents and other materials from the camp to analyze. "The technology has evolved over the years, allowing us to better check for fingerprint matches. And part of the challenge is the sheer volume of the work," the official said, asking that his name not be disclosed. 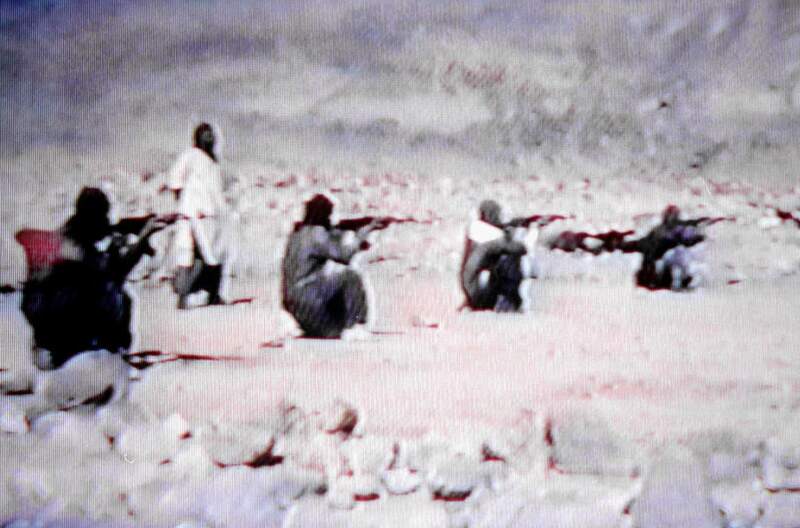 A video grab dated June 19, 2001 shows members of Saudi dissident Osama bin Laden's Al-Qaeda, or "The Base", organization training with AK-47 sub-machine-guns in a video tape said to have been prepared and released by bin Laden himself. The United States Immigration and Customs Enforcement (ICE) is reportedly seeking to join the Intelligence Community, which includes the Central Intelligence Agency, the Defense Intelligence Agency, and other intelligence-focused arms of the federal government. Currently, ICE is a federal law enforcement that operates under the umbrella of the Department of Homeland Security. It consists of two components: Homeland Security Investigations, which probes cross-border criminal activity, including drugs and weapons trafficking, money laundering and cybercrime; and Enforcement and Removal Operations, whose mission is to find and capture undocumented aliens. But some senior ICE officials have been exploring the possibility of joining the US Intelligence Community. According to The Daily Beast, which reported the alleged plans, the officials believe that by joining the Intelligence Community, ICE will become privy to intelligence that will assist in its mission. They also claim that membership in the Intelligence Community would afford ICE “greater prestige, credibility and authority” within the federal government. The Daily Beastreports that ICE’s effort to join the Intelligence Community began during the administration of US President Barack Obama. However, it has picked up steam following the election of President Donald Trump. Some believe that President Trump would be willing to sign an executive order that would incorporate ICE in the Intelligence Community. Some civil liberties watchdogs, however, are weary of such plans. They claim that ICE is a domestic law enforcement agency and should not have access to practices and techniques used by spy agencies like the CIA or the National Security Agency. The latter frequently break the laws of foreign countries in pursuit of their mission, which is to steal foreign intelligence. These agencies are characterized by a different culture, say critics, which is not respectful of legal constraints. But supporters of ICE’s proposed inclusion into the Intelligence Community argue that there are several law enforcement agencies that are already members of the Intelligence Community. Notably, the Federal Bureau of Investigation and the Drug Enforcement Administration —both law enforcement agencies— belong to the Intelligence Community. The Daily Beast said it contacted ICE but a spokesperson refused to comment on the story. The Department of Homeland Security did not return emails and phone calls about the proposal to include ICE in the Intelligence Community. US forces reportedly responded to an "unprovoked attack" by Syrian pro-regime forces at the Syrian Democratic Forces (SDF) headquarters on Wednesday, according to a statement from US Central Command (CENTCOM). US-led coalition forces, who typically advise and assist SDF troops, conducted airstrikes against the Syrian forces who attacked their "well established" headquarters. No US forces were injured during the attack according to reports from multiple news outlets. "In defense of Coalition and partner forces, the Coalition conducted strikes against attacking forces to repel the act of aggression against partners engaged in the Global Coalition's defeat-Daesh mission," a CENTCOM statement said, referring to the alternative label for Islamic State militants. The initial attack happened eight kilometers, or roughly five miles, east of the de-confliction line on the Euphrates River. Meanwhile, reports from rebel-held areas near the capital of Damascus claim that airstrikes from the Syrian government and Russia killed scores of civilians. Activists and first responders said that at least 55 people were killed after the airstrikes on Tuesday. Around 2,000 US troops were reportedly deployed to Syria, according to the Defense Department. US military presence dwindled down after a major offensive to rid Islamic State militants from Raqqa, once a major hub for the terrorists. Following the siege on Raqqa, Defense Secretary Jim Mattis said that US forces would focus on diplomacy and that they "won't just walk away" from efforts to stabilize the region. 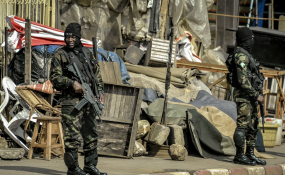 There was heavy military activity in the English-speaking regions of Cameroon on the night of February 3. 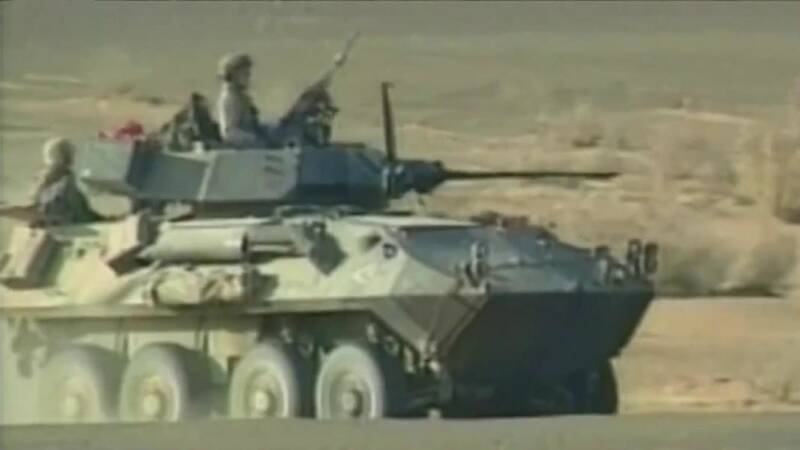 Fifty armoured vehicles and assault weapons were deployed by the government in the English-speaking regions - specifically Bole in the Southwest, Africa Info learned from a trustworthy source. The witness said Belo is on the verge of genocide as Beti soldiers from Yaoundé are "killing people like chickens". The witness also said heavy artillery fire is being reported in Bamenda (the capital of the North West region). According to humanitarian sources, in Batibo in the Northwest region, soldiers are ransacking the property of unarmed civilians, forcing them to seek refuge in the forests. Francophone dominated regime. The regime in place have ignored national and international calls for a comprehensive dialogue to address the root cause of the crisis. Rather it has opted for a military response that has seen hundred of deaths and casualties on both side with thousands crossing into neighboring Nigeria as refugees. In this courtroom sketch, Salah Abdeslam, right, and Soufiane Ayari, left, appear at the Brussels Justice Palace in Brussels on Monday, Feb. 5, 2018. 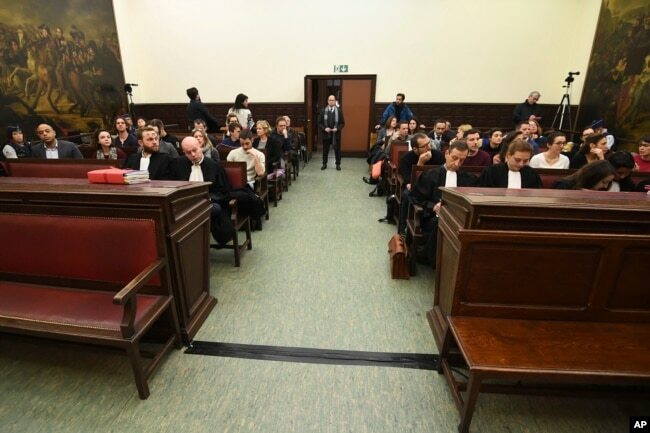 The first trial against top surviving Paris attacks suspect Salah Abdeslam opened in Brussels Monday amid tight security and a packed courtroom. A bearded Abdeslam, 28, appeared clad in a white sweater and unshackled -- surrounded by hooded security guards dressed entirely in black, according to reports of journalists present in the courtroom. He refused to rise when the judge asked him to, or to identify himself. Fellow accused, Tunisian-born Sofien Ayari, 24, was also present. He also declined to answer questions. "I defend myself by keeping silent," he said. The four-day trial will not deal directly with the November 2015 attacks that killed 130 people around Paris, in which Abdeslam is believed to be the sole surviving participant, but rather with a March shootout with police when he was on the run. But it is being closely watched, in hopes it may shed insight into the tangle of alliances and events that link the Paris attacks with the March 2016 attacks on the Brussels airport and metro. "Will he say anything more than he has said?" asks Rik Coolsaet, a longtime terrorism expert and senior fellow at the Egmont Institute, a Brussels-based research group. "If he doesn't, I'm afraid the trial will not make things much clearer about his involvement either in the Brussels or in the November attacks in Paris." Both Abdeslam and Ayari face attempted murder charges in connection with the March 16 shootout that occurred days before Abdeslam was captured after months on the run — and days before the terrorist attacks in Brussels. Abdeslam’s trial comes amid a changing terror landscape in Europe. With the Islamist State group beaten back in Syria and Iraq, the focus is now on returning radicals and those leaving European prisons in the not-too-distant future. The Brussels trial is one of many expected during the coming months and years dealing with recent terrorist attacks across the region. But while the trials may shed light on the past, "they won't inform us much about the future threats and challenges," analyst Coolsaet says. "We are living in a kind of post-ISIS era, in which the threat has been transformed from organized networks of plots and attacks to lone actors." Yet Abdeslam is believed to have played a key logistical role in preparing the attacks. He allegedly organized safe houses, drove across Europe to pick up other suspects, and dropped off three suicide bombers at the Stade de France soccer stadium outside Paris, where they blew themselves up during a France-Germany game. 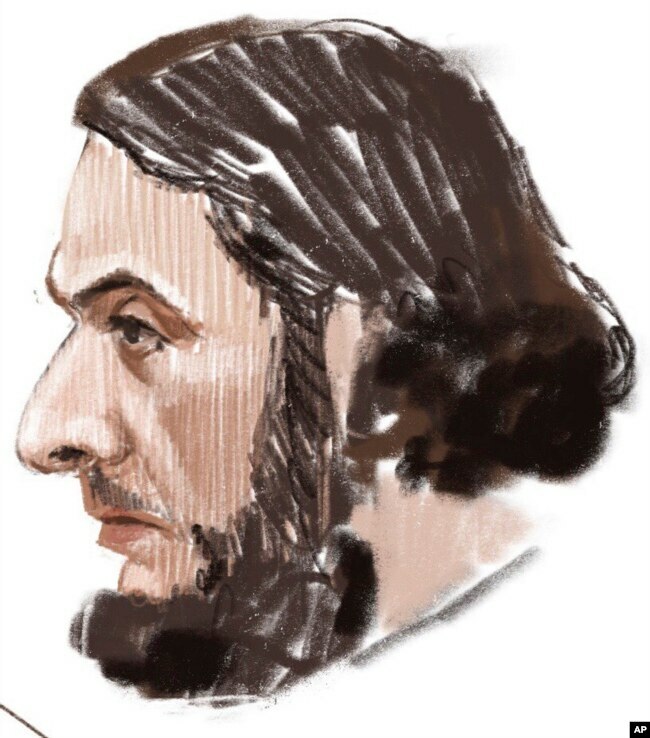 In this courtroom sketch, Salah Abdeslam appears at the Brussels Justice Palace in Brussels on Monday, Feb. 5, 2018. Salah Abdeslam and Soufiane Ayari face trial for taking part in a shooting incident in Vorst, Belgium on March 15, 2016. After a four-month manhunt, he was finally caught in the Molenbeek neighborhood where he grew up, shortly after the shootout with police, who were investigating a suspected safe house they originally thought was unoccupied. 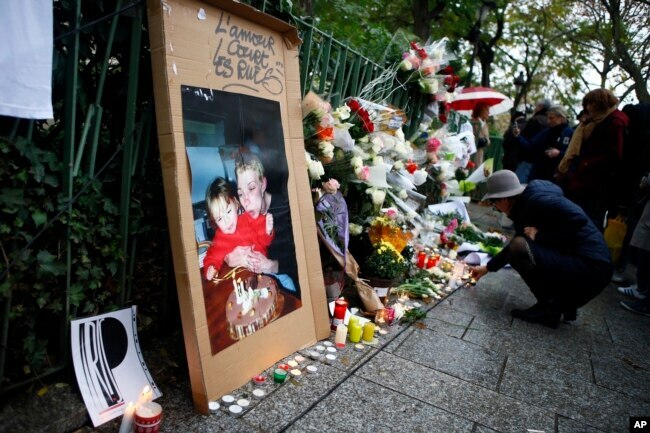 A woman lights candles to pay respect in front of the Bataclan concert hall in Paris, Nov. 13, 2016. But the geopolitical landscape has changed dramatically in the interim. With IS weakened, terrorists in Europe cannot count on the same kind of extensive backing as the Paris and Brussels assailants once had, analysts say. European jihadists are also coming home, although in fewer numbers than earlier feared. "Returnees are not coming back here en masse, and that’s for the whole of Europe," says terrorist expert Coolsaet. "Either they're fighting to death, or they're being imprisoned." Before leaving for Brussels to attend Abdeslam’s trial, Mondeguer said, "I'm not angry with him, I don’t hate him, but I will never forgive him. What we want to find out is what exactly happened on November 13."